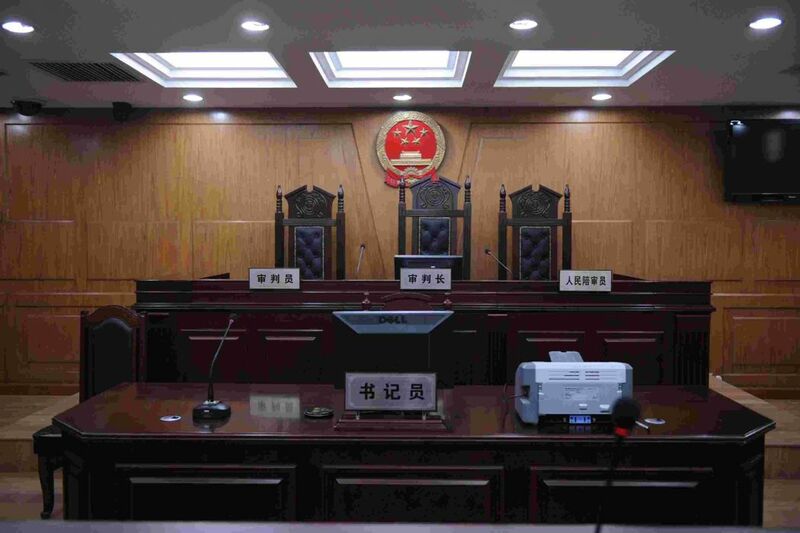 A law firm director and three activists were given sentences for “subverting state power” this week at the Tianjin Second Intermediate People’s Court. 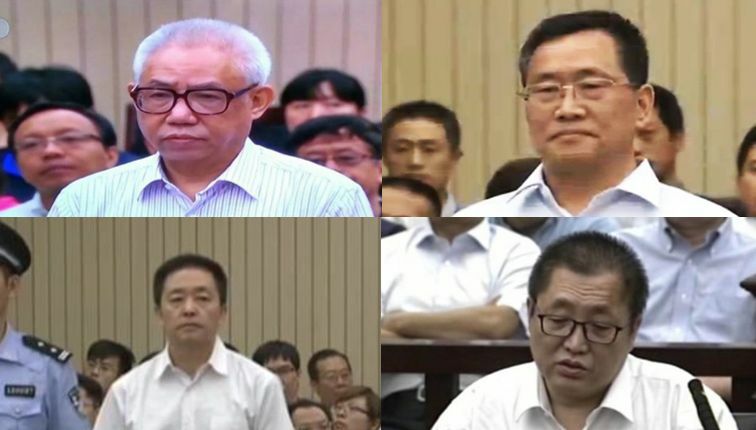 They were all detained as part of China’s crackdown on lawyers and activists, in which about 300 lawyers, activists, and people associated with them were questioned or taken into custody starting in July 2015. All four sentenced this week accepted their rulings and said that they would not appeal, according to state media. From left to right, clockwise: Hu Shigen, Zhou Shifeng, Gou Hongguo, and Zhai Yanmin. Photo: CCTV Screencaps. Gou Hongguo: Gou was given a three year jail term with a suspension of three years on Friday. He will be deprived of his political rights for three years. Gou is a Christian activist who was associated with “underground churches” in northern China. The Tianjin court said on social media that Gou was trained in “subverting state power” abroad and that he sought to turn public opinion against the government. Zhou Shifeng: On Thursday, Zhou received a seven year jail term and was deprived of his political rights for five years. He was the director of the Beijing Fengrui law firm, which found itself at the centre of the crackdown last year. The Beijing law firm was known for defending clients who were seen as dissidents or who were practicing banned religions. The law firm also took on significant cases such as the infant milk formula scandal in 2008. Hu Shigen: Hu was sentenced to seven and a half years in jail on Wednesday. He will be stripped of his political rights for five years. Hu, like Guo, was a Christian activist and was seen as a leader of underground churches. He was previously jailed on counterrevolutionary charges after being detained for two years on 1994. He was released in 2008. 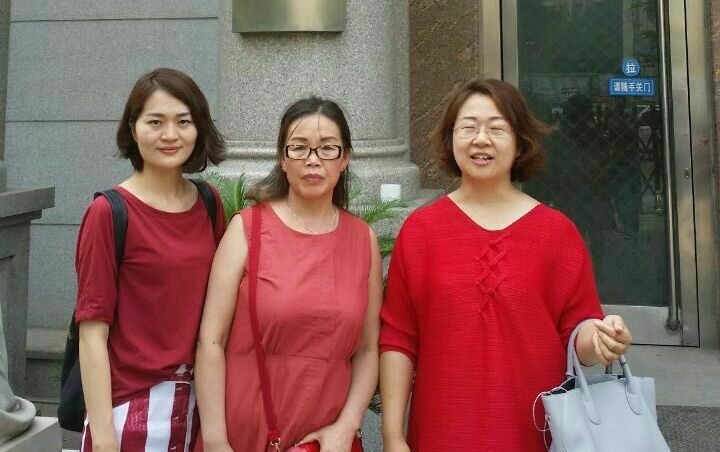 Li Wenzu, Liu Ermin, and Wang Qiaoling, wives of those detained in the crackdown. File Photo: alicedreamss via Twitter. Although the court said that the trials were “open,” the wives of the sentenced activists and lawyers were under close watch by authorities and could not attend the trials. 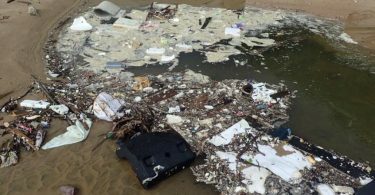 “We believe that this is a ‘performance trial’ which goes against the law, goes against human nature, infringes upon rights, is full of lies, and is laughable,” it said. Tianjin Second Intermediate People’s Court. Photo: Tianjin Second Intermediate People’s Court website. Human Rights Watch also said on Wednesday that the trials of the four activists and lawyers were a miscarriage of justice. 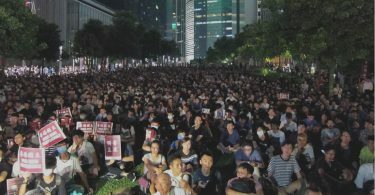 A statement from the NGO said: “the trials, held between August 2 and 5, have not been open and public as claimed by Chinese authorities.” It urged China to drop all charges against lawyers, legal assistants, and activists detained in the crackdown. Xinhua said in a Facebook post on Thursday that Hu and other suspects in similar cases were “well treated”at the Tianjin No. 1 Detention Centre. Huang Bin, the head of the detention centre, told Xinhua that they were given physical examinations as well as healthcare and therapy programmes, depending on each detainee. He also said that the centre was air conditioned and that Hu “sometimes has heart problems and dyspneic symptoms. We sent him to the police hospital for residential treatment.” The centre also prepared birthday cakes and birthday noodles, a Tianjin tradition, for several detainees, according to Xinhua.